I've heard it my whole life. In movies, books, from other women. "Someday, you'll do something or say something and realize that you are just like your mother." Now, in my case, I wasn't dreading that day like so many women in those movies were, because my mother is fantastic. If I ever could grow up to be 1/2 the woman she is, I have made it! Last Sunday, I was sitting in church with Louisa, and I looked at her sweet, baby hands gripping my fingers. Suddenly I had a flash back to when I was about William's age and sitting in church next to my mom. We must have been holding hands, because I remember looking down at the lines and maturity of my mother's hands juxtaposed against my smooth, childlike skin. I distinctly remember wondering how old my mom was and what it would be like to be that old? 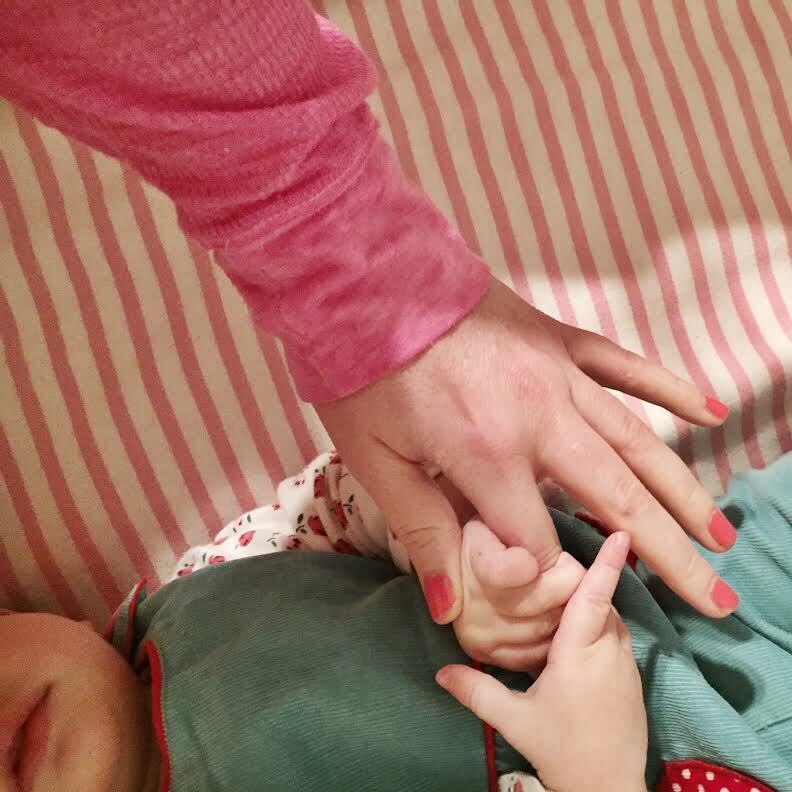 As I compared the skin on Louisa's hands to my own, my breath caught in my throat as I realized I'm the mom. I know - duh. But seriously, sometimes during all the craziness that comes with having small children, something like this happens and it takes my breath away. When I think that I'm the one that's doing the "momming", it just seems so crazy to me. I mean, I'm the one teaching the kids how to break the eggs into the bowl, driving the car to school, doing the laundry of the favorite shirt, kissing the scraped elbows, dancing silly to cheesy music and tucking them into bed at night with that soft hair brush across the forehead. It's a crazy experience, growing up. Sitting here, the sun is shining and reading your post. It brings some tears into my eyes. Because my boys are not that small anymore and I miss that time when they were. Our eldest son went 18 last Saturday, can you imagine? Anyhow, I am a proud mother of three sons at the age of 18, 15 and 12 years. And you are a proud mother of your lovely children. Love the photo by the way!